My cat has an automatic feeder that goes off at five in the morning, so he doesn’t come and attack my toes when he’s ready for his morning meal. But that doesn’t stop him from wanting the human touch, in the form of me pouring approximately 15 extra pieces of food into his bowl once I’m finally out of bed. While I can visually check the bowl to make sure the feeder is actually working every morning, there’s still some anxiety if I go away for the weekend. What if the batteries die when I’m gone? 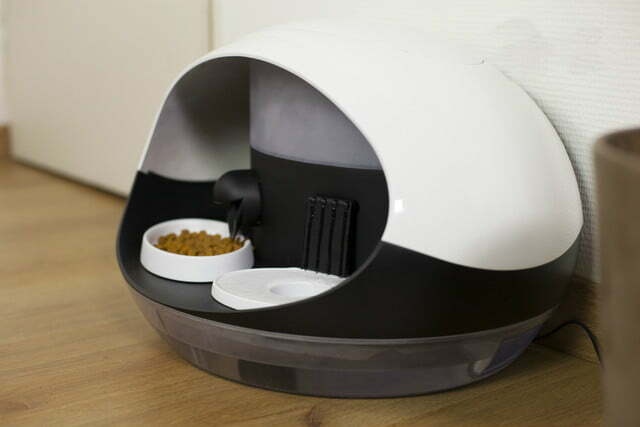 Catspad is a smart food and water dispenser for cats (or small dogs) that is supposed to let you check in on Lady McPet or Sir Pounce via your phone while you’re traveling — or just at the office. Because it holds 3.75 pounds (1.7 kilos) of food and just over 270 ounces (8 liters) of water (enough for a month, according to its creators), the Catspad is kind of huge: 20 by 13 inches. 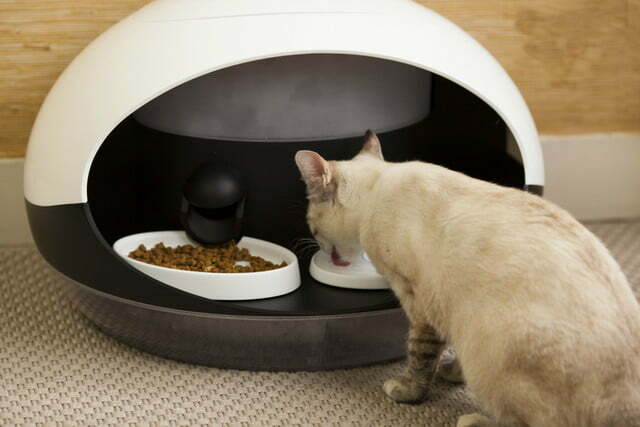 Its domed shape is reminiscent of some litter boxes I’ve seen, so hopefully your cat won’t get confused. 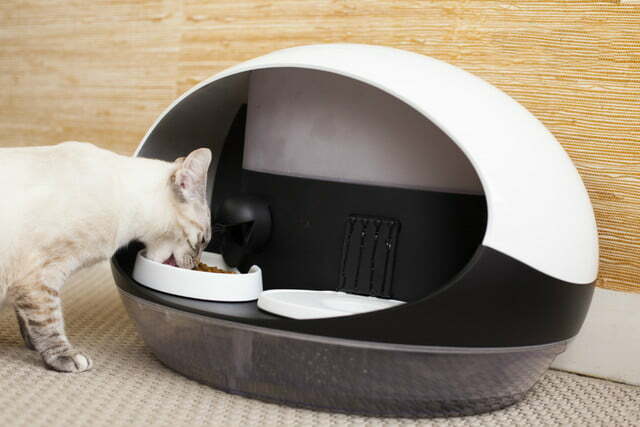 Like any automatic feeder, you can set the amount and frequency of food you’re doling out, and the water dispenser can either run continually or activate when your cat is near. (This may freak out skittish cats, though.) In addition, it uses weight and pressure sensors to alert you when supplies are running low. 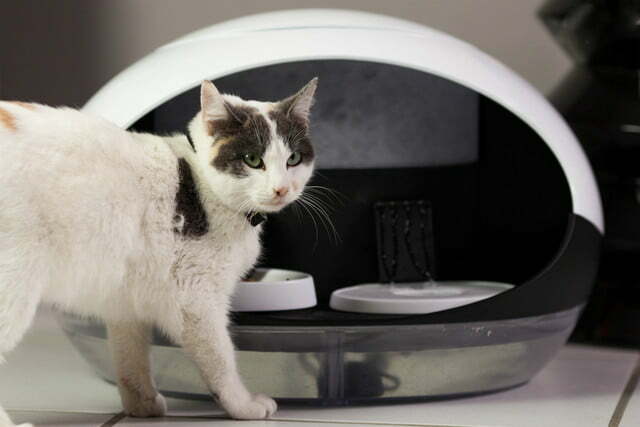 The feeder is also meant to work with an RFID chip in the accompanying collar. If you can get your cat to wear it, it will help track your cat’s nutrition. 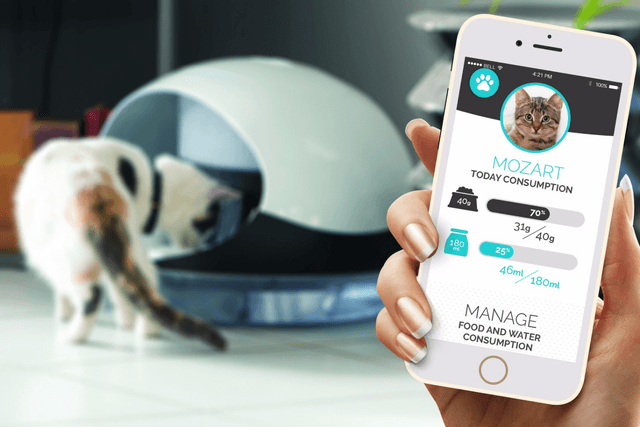 However, there’s no built-in camera, so you’ll have to rely on the app and food and water levels to ensure your cat is actually consuming the vittles and water. Presumably, this would also let you know that Fatty Bombatty is stealing all of Lil’ Bit’s food. The Catspad plugs into the wall but also has a battery backup. Right now, it’s available on Indiegogo for $179 and will eventually retail for $299. The designers hope to ship the units in December 2016, but the usual backer beware warnings apply. Also, you should apply an extra layer of wariness whenever cats are involved; my own refuses to drink from (ridiculously expensive) pet fountains.